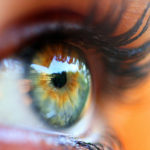 Eyes are often the first area that begin to show age. Even in relatively young people, eyelid sagging or bulging can lead to a tired, aged appearance. For many seeking to improve these most obvious signs of age, a blepharoplasty may be the answer. Surgical eyelid rejuvenation, also known as a blepharoplasty, corrects many common cosmetic eyelid complaints. This includes loose or sagging skin on the upper eyelid, excess fat deposits, and drooping of the upper eyelids. Lower eyelid puffiness will be discussed separately. Loose or sagging skin – Excess skin around the eyes not only looks unsightly, it can also impair vision. Eyes appear heavy and tired, and deeper wrinkles begin to form as it gets worse. Sometimes excess skin becomes so saggy it can hood over the eyes and make it difficult to see. Perhaps you are having difficulty wearing eye makeup or eye shadow. A blepharoplasty can remove this excess skin and leave eyes looking youthful again. Excess fat deposits – Eyes, just like many other parts of the body, can experience excess fat. When fat builds up under the skin it can cause puffiness. adding years to the appearance. Drooping– Drooping eyelids or lowering of the height of the eyelids often times can be caused by excess skin pushing down on the eyelids. Sometimes there can be loosening of the eyelid lifting muscles: the levator aponeurosis and Muller’s muscle causing lowering of the eyelids. This is called eyelid ptosis (“toe-sis”). The eyelid height will be evaluated during the consultation. This can be addressed with appropriate targeted procedures which are customized and selected based on the exam findings. 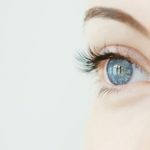 While blepharoplasty is a relatively safe surgery, there are some personal factors that help plastic surgeons determine if someone is a good candidate for surgery. Firstly, candidates should be in good health with no current illnesses that can impact healing. Individuals who have medical conditions that affect the immune system or blood clotting may not be considered for surgery. Candidates with dry eye need to proceed with caution and there is a chance that the dry eye could worsen. If someone is not a good candidate, other options may be discussed such as a non surgical blepharoplasty and other minimally invasive procedures. Finally, candidates should be non-smokers. Smoking can affect the way a person’s immune system operates, particularly when healing from surgery. Smokers are more likely to develop infections, have delayed healing or encounter other adverse complications. Likewise, those recovering from surgery should stay away from secondhand smoke. Most risks or concerns with blepharoplasty are temporary which include swelling, bruising, eye dryness, light sensitivity, difficulty closing eyes, and some discomfort. Most people will be given medication and directions during recovery to help ease the recovery process. More rare side effects will be discussed as well. Swelling and bruising is normal and can be most pronounced in the first 48-72 hours after surgery.. Most people are able to resume their normal daily activities within 1-2 weeks after surgery. As with any type of surgery, there can be more serious risks such as adverse anesthesia reactions, infection, or need for additional surgery. These are very uncommon occurrences, and most do not experience serious complications. It is important for potential candidates to discuss any concerns they may have prior to deciding on surgery.